Home / Features / Colleges / Will She or Won’t She? Elaine Thompson, Jamaica’s newest female sprint sensation, last week produced the fastest100m time in the world this year of 10.92, and some Jamaicans are already including her on the 4x100m relay team to the World Relays next month. 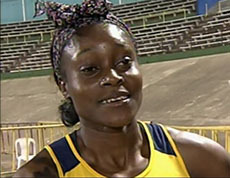 However, there is uncertainty as to whether she will represent Jamaica at the event in the Bahamas on May 2 and 3. Her coach, Stephen Francis of MVP, has said the two-day event was not among the main targets for the 22-year-old University of Technology Jamaica athlete. 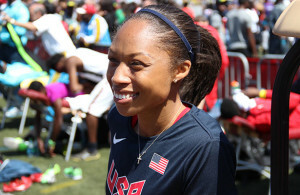 Francis pointed out that while he was not ruling out the World Relays for Thompson, her focus was competing at the Penn Relays for the University of Technology. Going to the World Relays, he said, would depend on how well she recovered after the April 23-25 Penn Relays, considering the Jamaica Invitational scheduled for May 9 remained a crucial part of her season.